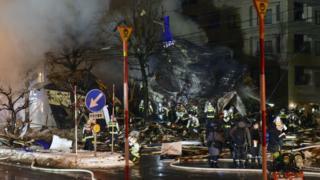 A big explosion and fire have hit a restaurant in the northern Japanese city of Sapporo. Initial reports on Japanese media suggested that at least 20 people were injured, and many rushed to hospital in ambulances. The reason for the explosion in the Toyohira district is not yet known. Social media images originally showed flames from the area of ​​junk around and later firefighters who managed collapsed buildings. The police have sealed the area with fear of more explosions. The Japanese transmitter NHK said that the affected area had both residential and dining areas and was about 3 km south-east of the city center. The Japan Times had a picture of firemen working at a collapsed building, quoting an eyewitness that the explosion sounded like thunder. 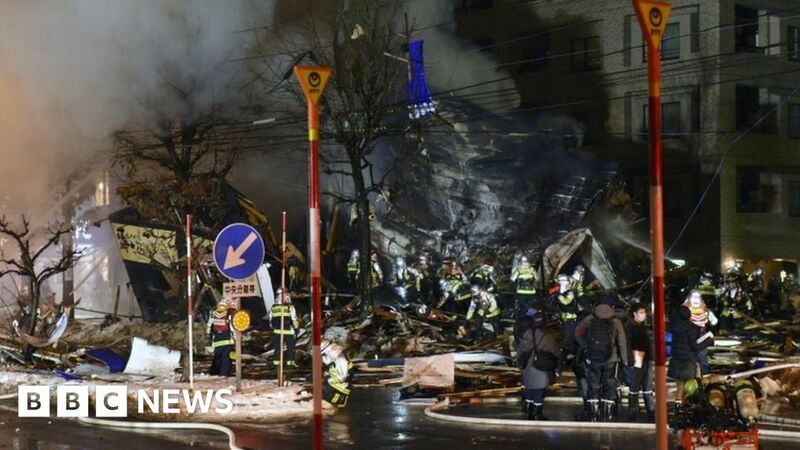 Another eyewitness told NHK that the explosion had broken windows in the restaurant he was working with and that there were "many injured persons".